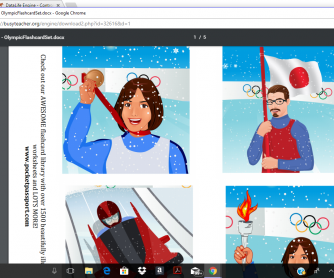 Beautifully illustrated flashcards teach an Olympics-themed lesson. 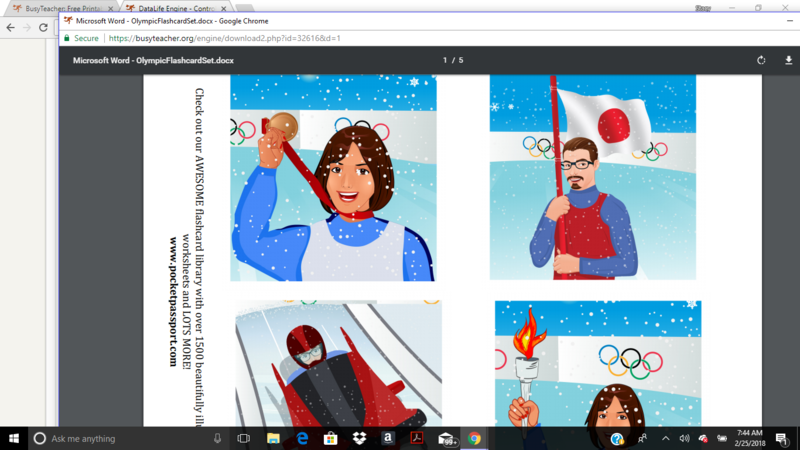 This Olympics-themed set will brighten up the classroom, increase retention and provide an awesome visual learning aid. The flashcards are a perfect aid to each any number of things including vocabulary, adverbs of manner, tenses, adjectives, story telling and just about anything.